I will be blogging about this party in more detail very soon…here is a sneak peek while you wait! And you can see the invitations I designed here. 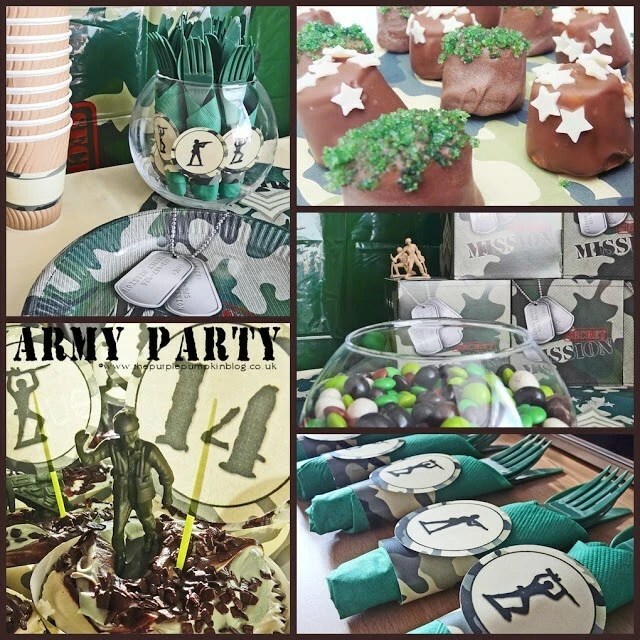 And see how I brought this Army Themed Party all together! Last year I threw him a Nintendo Themed Party…why not take a look? I love scouring the net for party ideas…I pin them on my Party Time! Board on Pinterest, I’d love if you came and followed me! You are so creative… Thanks for postings your parties… u have given me so many great ideas. My so is turning 5 and he wants a military theme thanks to u I got it covered. Thanks for the free printables… I just all your ideas. Happy birthday to your son – hope he has a wonderful day! I LOVE what you have done here! Wonderful party for you son. As the mom of a green beret, I appreciate the army theme! Hope you can stop by the enchanted oven to say hi.